Let me start with the routes. 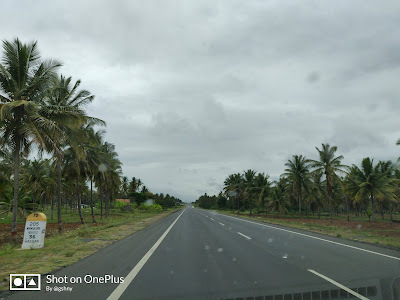 So there are primarily two exit roads from Bangalore to enter into Coastal Karnataka. The best and most used route is Nelamangala - Kunigal - Channarayapatna - Hassan and other one is Nelamangala - Tumkur - Shimoga highway. If you are going to Mangalore then the easiest route is via Sakleshpur (Shiradi) Ghat which comes after Hassan. This route provides easy access to the holy land of Subramanya and Dharmasthala. If this route is operational then take it as it has sufficient rest stops and restaurants available. However the ghat has been shut for over 5 times (for about 3-8 months each) since I moved to Bangalore. With the recent concrete work, the problem should now be solved but hey do not underestimate the monsoon as it could erode away anything (touchwood). At the time of writing this post, there is still work going on to make 4 lane highways between Mangalore to start of ghats and from end of ghats to Hassan so expect some inconvenience in terms of traffic. You have a lot of good restaurants on the Hassan highway some of which are open until midnight! 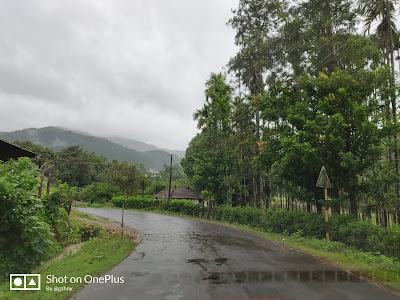 The other common route is the narrow Charmadi Ghat which you can take if you are comfortable with heavy traffic on narrow curvy roads. You deviate from Hassan towards Belur to continue into Chikmagalur to eventually arrive at Charmadi. Charmadi offers an amazing view if you happen to travel during day time so if you want to make your drive interesting then take this route. Good roads however is not guaranteed. Also Neer dosa and chilli bajji is famous at Mudigere which is one of end points of Charmadi. Monsoons will have greenery all the way but also expect traffic jams. Charmadi ends near Dharmasthala from which you can go via Karkala to Udupi or directly to Mangalore. The other road is the Madikeri highway to reach Mangalore via Puttur. To avoid Mysore road, you could deviate to Kushalnagar from Channarayapatna to reach Madikeri. This is a bit longer but a reliable route. After 10pm you might not find any restaurant or rest stop after Channarayapatna as it is not a well traveled route. 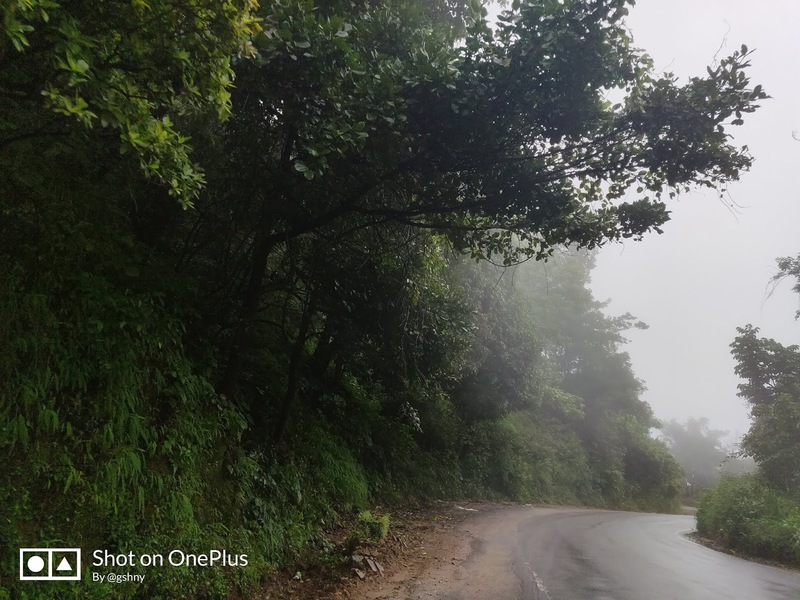 This route is recommended if you want to cover Coorg in your journey. The other route via the Hassan highway is Sringeri. For this route you deviate much before Mudigere to reach Sringeri directly and then take the Agumbe ghats. I already have a seperate post for this (will provide the link in the end). This is an ideal route if you consider Sringeri temple as a pitstop for the free lunch/dinner prasad. You can reach Agumbe ghat via Shimoga too. Shimoga route is a lengthy road to take to reach Mangalore but the shortest route to Udupi/Manipal. Shimoga route has a normal two lane highway which means there is no divider to separate the two way traffic and it could be a pain during day time with trucks and local village traffic. We once left at 7pm from Bangalore and reached Kundapur (100 kms ahead of Mangalore) by 2am so the route is good post sunset. Heavy vehicles are prohibited on Agumbe ghat due to the hairpin bends and low lying rocks which will not let buses/trucks pass. Only minibuses or smaller vehicle are allowed on this route. The other alternative to reach Kundapur which is around 40 kms from Udupi is via the HuLikal ghat road from Sagar after passing Shimoga. This route does not go via Mangalore/Udupi. Folks traveling to Kollur Mookambika temple sometimes prefer this route when traveling in buses. Now that was all for folks traveling by own vehicles or rented cars. Reaching the coastal town is a piece of cake by public transport too. Well not in train as due to bus lobby the train is excruciatingly slow (12 hrs to reach Mangalore) but if it is comfort and cost effective route that you wish then train works best. However train services are affected during monsoons. Do take the day train if you have all the time in the world. The green route is amazing (again, link to post about this in the end). You then have the flight to Mangalore. The tickets are as cheap as 1200 if you book early and during off season however cabs charge Rs 500 from Mangalore Airport to the city. Currently cab aggregators are not allowed to pick up from the airport but if you are smart then book Ola local or outstation before you board flight from Bangalore and your cab will wait for you when you land. The prepaid taxis at airport are not bad either. Cab aggregators however drop you to Mangalore airport without issues! Last but not the least, the buses which cover Bangalore to Mangalore in around 6hrs at night and around 8hrs during day time . Let me start with the state government run KSRTC. 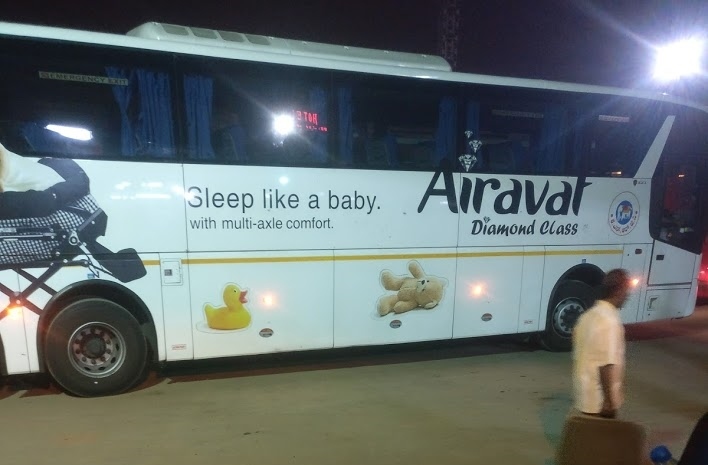 For day travel you have KSRTC which has volvos every hour from 6am to 4pm and also sleeper buses every 30 mins from 7pm to 12am. There are non AC Rajahamsa and ordinary Sarige busses also throughout the day. You might have to change buses in Mangalore as all buses may not go to Udupi/Kundapur. While KSRTC night buses have pickup/drop points at major places inside Bangalore, they all enter Majestic bus stand which is a bottleneck for all traffic especially during holidays. Ticket prices are usually on par with private buses so you don’t necessarily get an advantage as compared to other routes operated by them. There is reliability and sense of security as it is run by the state and with speed governor installed they do not particularly drive fast. KSRTC buses stop at Hassan and Sakleshpur bus stations so you have the convenience to use the restrooms. Also for unreserved tickets, KSRTC is the best. Private buses on other hand have pickup/drop point across the city. They do not have speed governors so they go really fast most times and when there is no block due to rains, they make sure you reach Mangalore before sunrise and Udupi/Kundapur before you want to go visit the restroom. They usually stop once for restroom breaks and it is mostly just before entering ghat sections. I have been traveling in Durgamba for the last 12 years. Now there are other providers like Sugama, Bharathi, Sowmiya etc which have good service. You can book whichever bus based on the nearest pick up/drop point for you. For folks in Rajajinagar to Peenya, any bus is fine since it is exit road from Bangalore but for rest of the city the choice is usually private as it avoids them traveling to Majestic.